The Strip at Las Vegas Motor Speedway was the place to be for race fans. 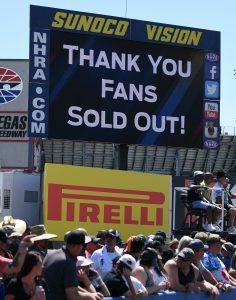 People from all over the world filled the stands to witness the inaugural four-wide event at the Las Vegas track. 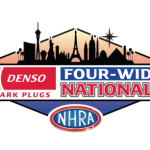 The speedway had a sell-out crowd for the DENSO Spark Plugs NHRA Four-Wide Nationals. Fans showed up in droves to feel the energy and be a part of the historical event. 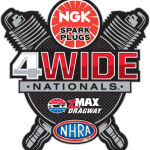 Four-Wide drag racing has established itself in the Western Region and from the response of the fans and race competitors, you can bet it’s here to stay. 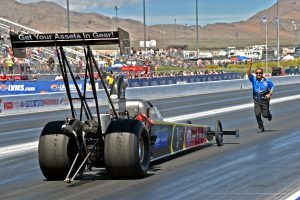 Once again, Team Litton Racing joined forces with Randy Meyer Racing to compete in the Top Alcohol Dragster division. Although race fans were eager to get the first glimpse of the newly constructed track, breaking in a new strip can bring many challenges for the driver and race team. 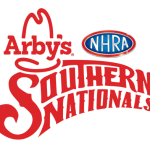 After qualifying in a solid position, Driver Bill Litton was optimistic going into first round eliminations. 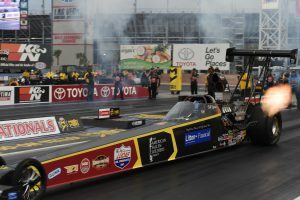 Per Litton, “Randy, Dan, and the team have worked hard to give me a steady race car. We improved a little every round so far and hope to continue that trend right to the final round!”. 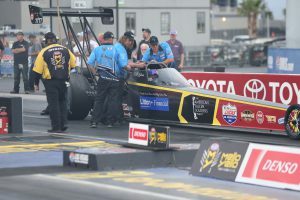 It was a first time match up for Bill and Driver Kim Parker in the first round of eliminations and wow, was this a close one, with only .015th of a second between them! “Bill’s up, and as the light comes down green, both cars leave pretty good, we are having a bit of ignition issues with Bill’s car, dropping some holes and picking them back up. Didn’t run as strong as we had hoped for, ending up coming up just a little bit short. 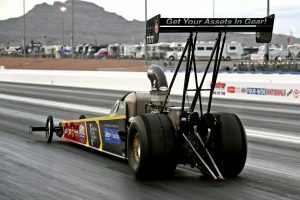 5.44 seconds and the other car ran 5.43 seconds,” said Randy Meyer. 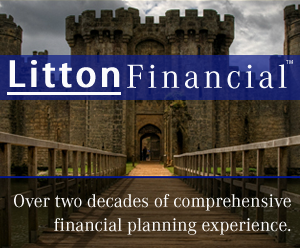 Fans were on their feet as the Litton Financial dragster topped out at 271.35 mph. It was a good close drag race, but it wasn’t in the cards for them this time. “It’s disheartening after working so hard and running so good in qualifying to be #6. Unfortunately, the weather has been very challenging with the new track surface and the heat, add the high winds on top of it. It’s kind of how it ended up for the team and Bill, ending up in 9th after today. So, we will get ready to go onto the next race and hopefully better things to come in the future,” per Chief Meyer. 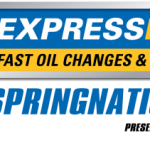 Next PostBill Litton Becomes 10th Driver to get FIRST Round Win Against 8-time Champ Tony Schumacher!